I LOVE ARTICHOKES! 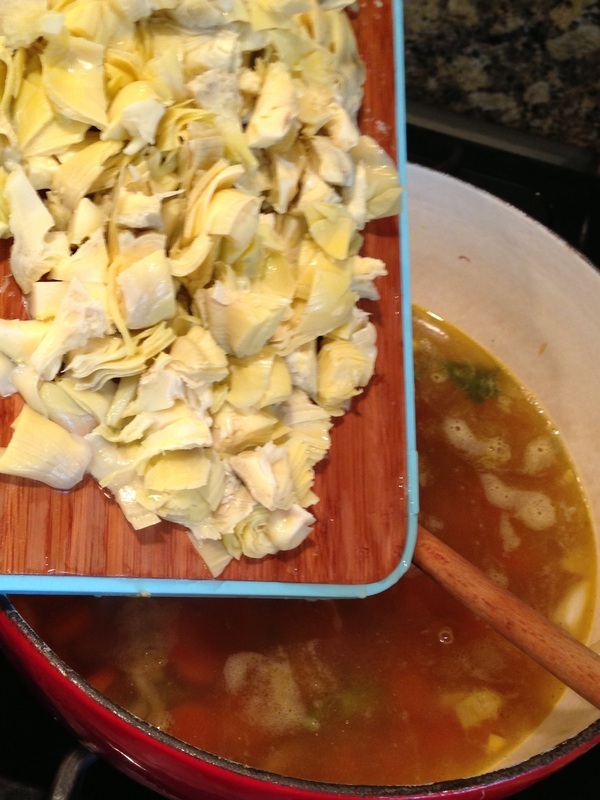 I will be re-visiting different ways to make artichokes in a healthy soup. 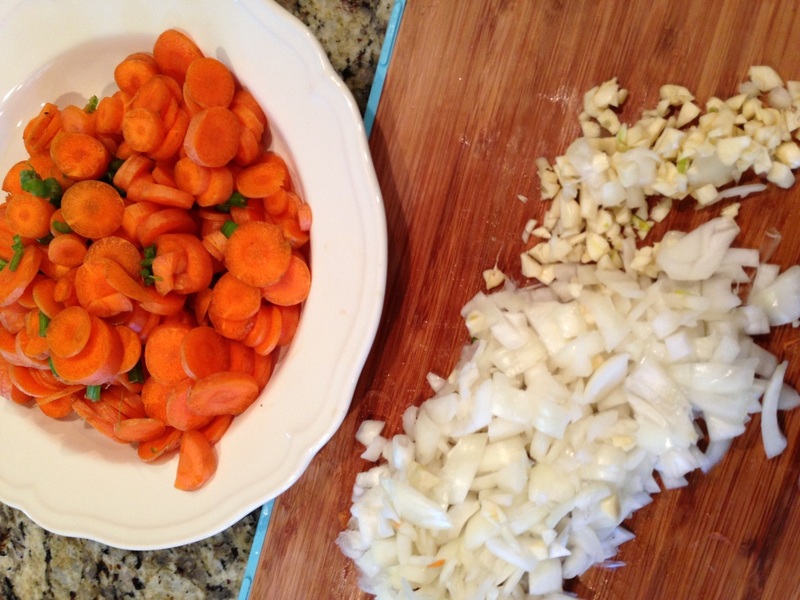 This recipe came out delicious and I'm sure you will love it as well. Artichokes have more antioxidants than any other vegetable, they are good for cholesterol reduction, better digestion, good for your liver and is high in fiber. One medium artichoke has more fiber than one cup of prunes! I choose to use Trader Joes canned artichokes that are packed in water for this recipe but I can't wait to use fresh artichokes for a future batch. 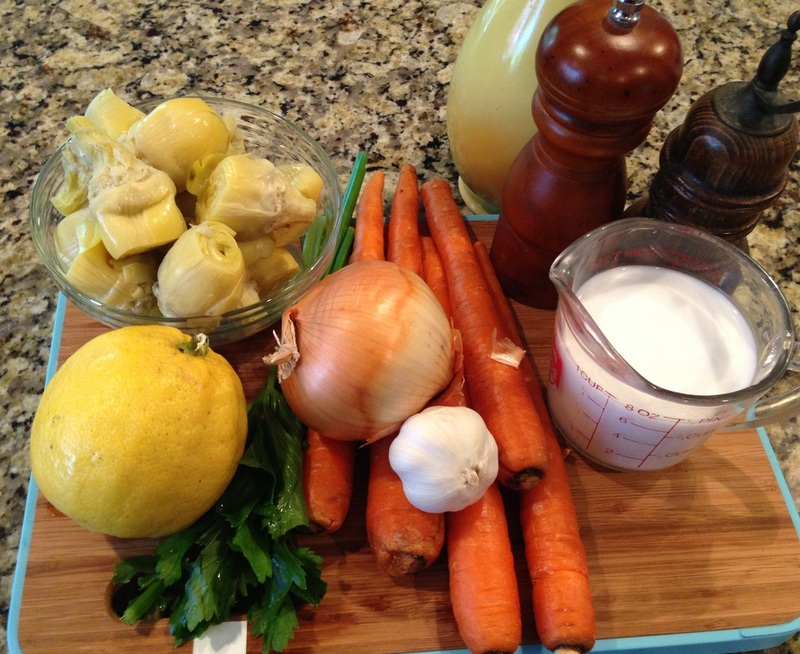 My favorite thing to pair with artichokes is lemon and I love lemon in this soup. Searching online for soup recipes with artichokes all I could find was recipes with lot's of cream, 1/2 and 1/2 and butter. 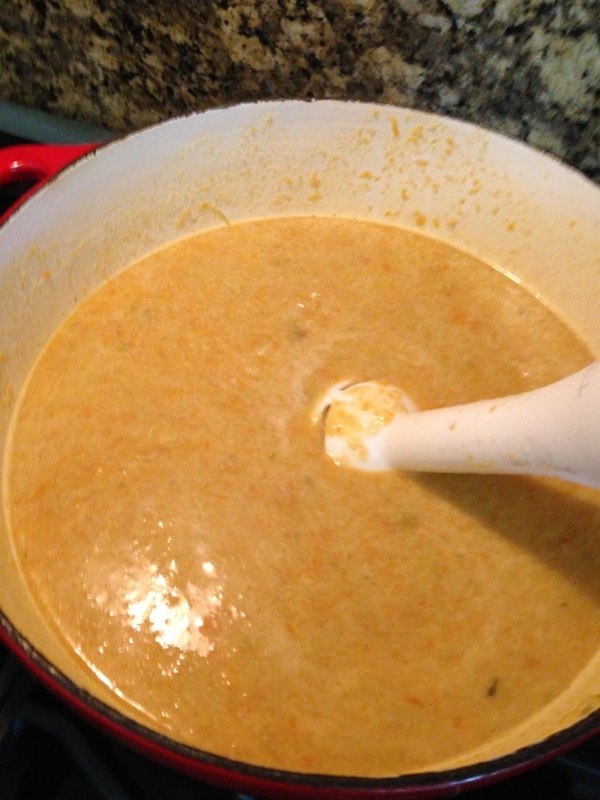 This soup omits all of that replacing the cream with light coconut milk and replacing the butter with olive oil. 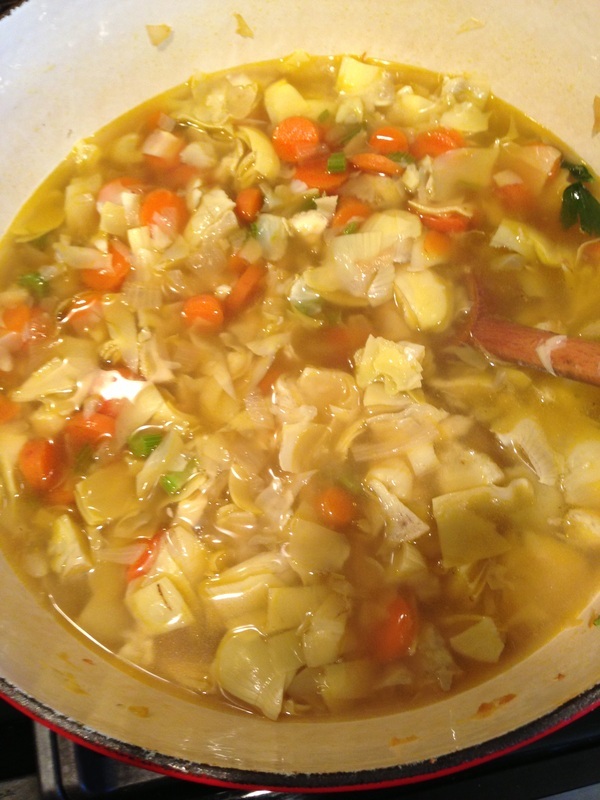 I hope you like this LIGHTER version, this is one of my favorite soups. So different, so refreshing and so delicious. This soup is delicious chilled, perfect for a warm summer day. In your soup pot over medium heat add olive oil, onion, celery, carrot and garlic and cook until translucent or fork tender. Stir in vegetable broth, artichoke hearts, salt and pepper and simmer for 10 minutes. Using a hand blender (or transfer to a blender) puree until smooth. Squeeze one half lemon juice into the pot. 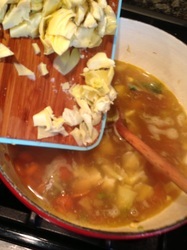 Place the other lemon half into the soup pot and cook for 10 minutes on low. 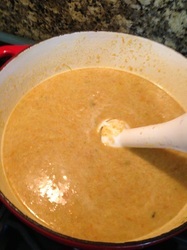 Remove the lemon from pot and add 1 cup light coconut milk, stir and continue simmering for a few minutes. When soup is heated through serve and enjoy. Can be served warm or cold, I love it chilled. Enjoy this delicious and unusual soup. Lot's of complex flavors and the lemon adds just the right amount of punch.